I can’t seem to get enough spinach lately, I’m not sure why. I’m not complaining though, there are worse things that I could be wanting to put in my body. 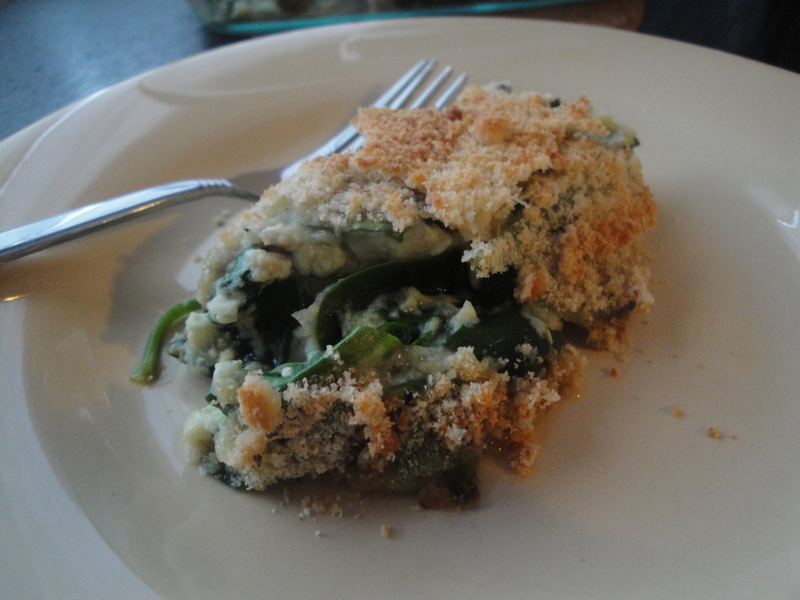 This Garlicky Spinach-Sausage Gratin has tons of spinach and tons of garlic and satisfies that crazy spinach craving. 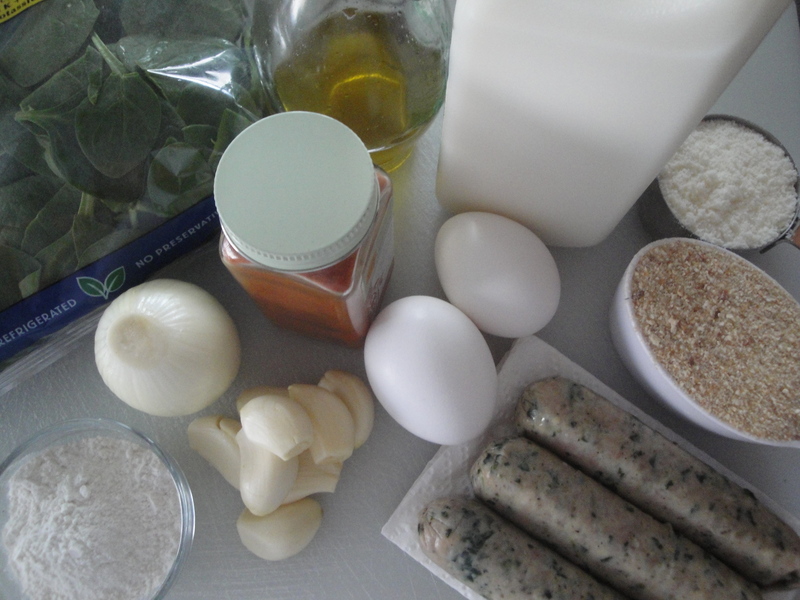 Sausage is sautéed with onion and garlic, mixed with a combination of milk and egg, and stirred with gobs of fresh spinach to make a thick and creamy spinachy-custard. The topping of parmesan cheese and bread crumbs, once baked, provides a slight saltiness and subtle crunch to this hearty and comforting dish. 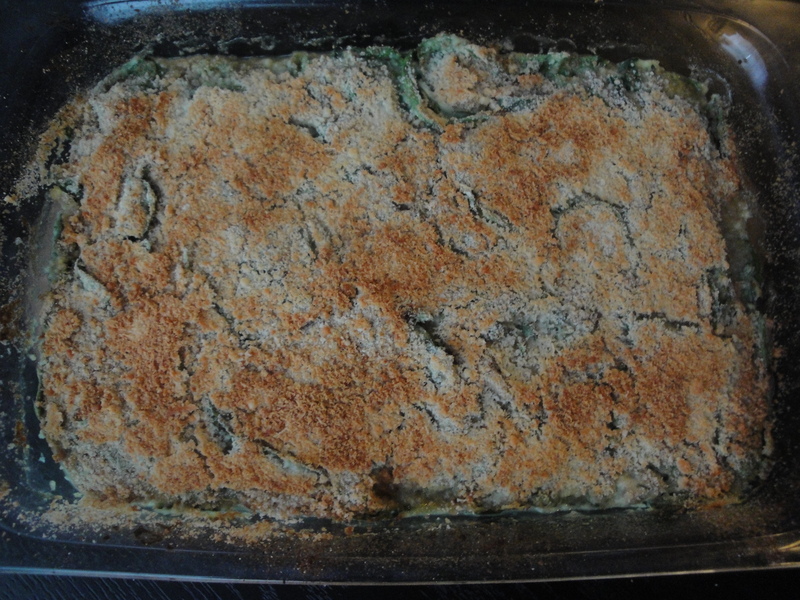 I didn’t follow this recipe exactly and used precooked spinach-garlic chicken sausage (ironically, it’s what I had in the fridge) in place of the pork sausage, 1% milk instead of 2%, and store-bought bread crumbs instead of a fresh baguette. 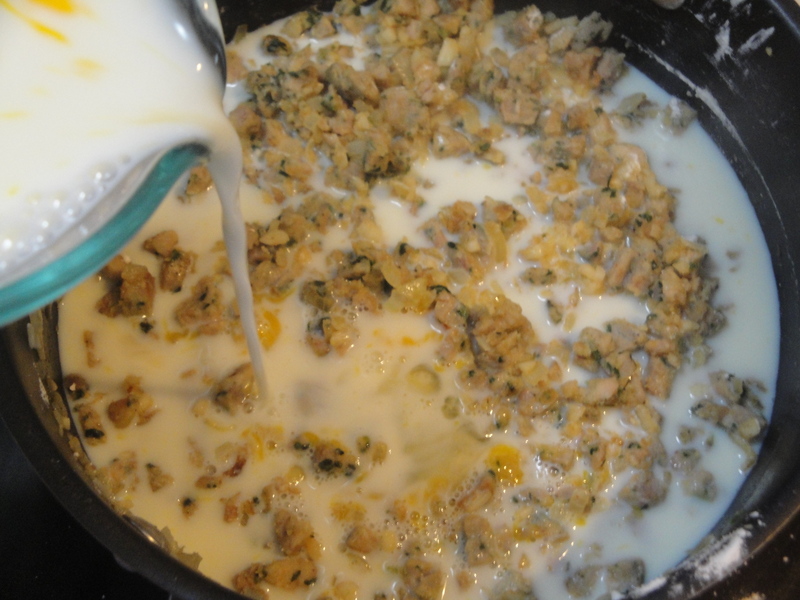 Leaving the sausage out and reducing the milk slightly might make this a good vegetarian dish or even a side to a meal. I liked this straight out of the oven as a meal in itself so next time you are craving spinach and want something other than salad, keep this in mind. With so much garlic though, you might want to keep a stick of gum nearby. In a large pan, sauté onion and garlic in olive oil until soft. Add in sausage, salt, and red pepper, cooking thoroughly. 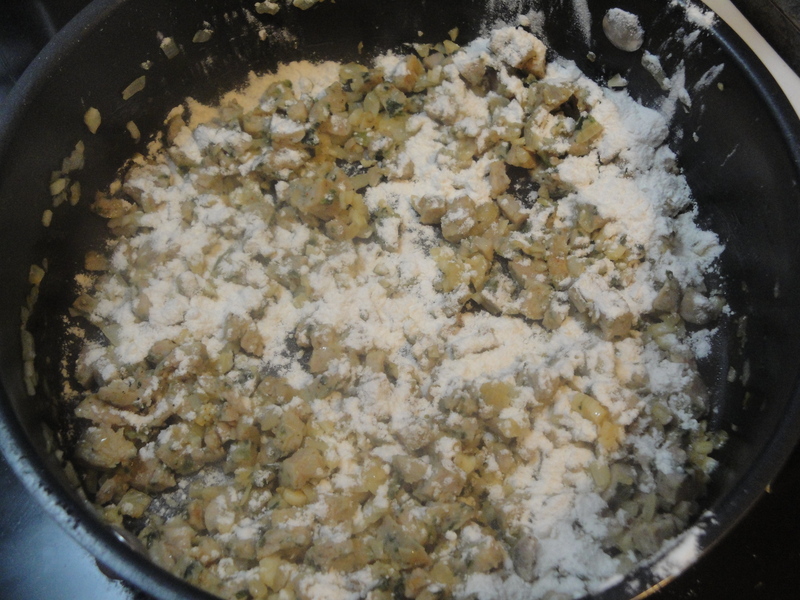 Add flour to the pan and cook for 30 seconds. In a bowl, combine milk and egg, stirring well. 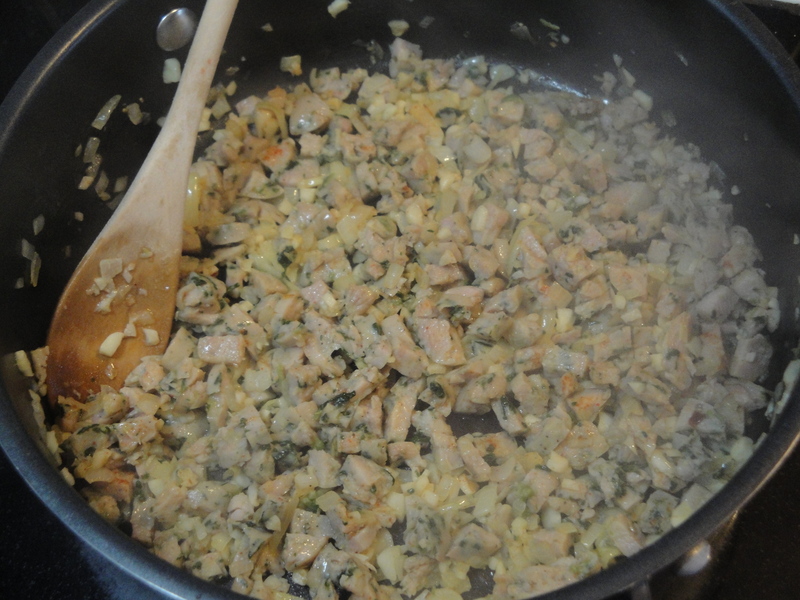 Add to the sausage mixture and bring to a boil, stirring constantly. 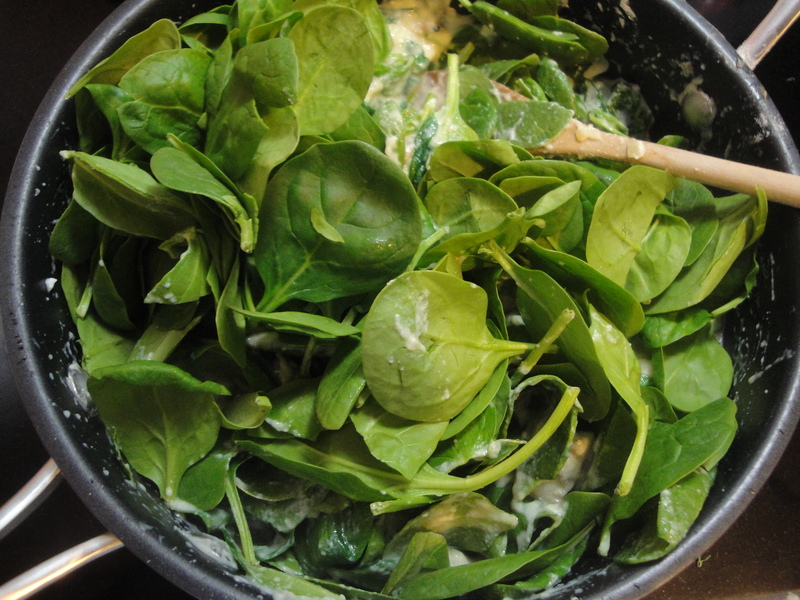 Remove pan from heat and add in two bags of spinach, one at a time. Stir together until spinach is wilted. 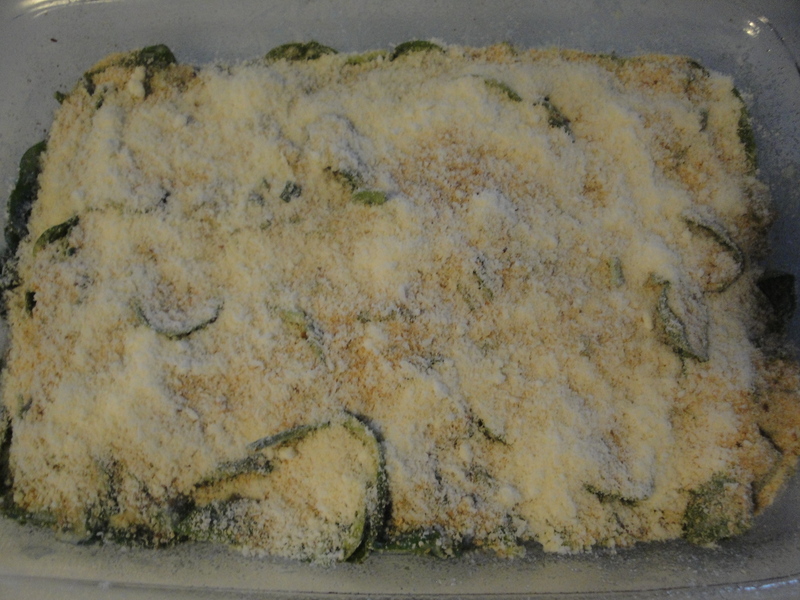 Pour mixture into a baking pan and top with bread crumbs and parmesan cheese. Bake at 450° for 12 minutes. I love, love garlic too!